Fat and the Moon Pimple Mud - Wildland Supply Co.
No need to attack our face with harsh chemicals which usually ends up making things worse for our skin and our environment. Better to hone in on the breakout and use the drawing properties that occur naturally in bentonite clay. The pulling effect of the drying clay helps get circulation moving in the face, and with blood comes healing cells! Improving circulation in the face improves your skin condition all over. Witch hazel extract and tea tree get deep into those pores and get all anti-microbial with it. 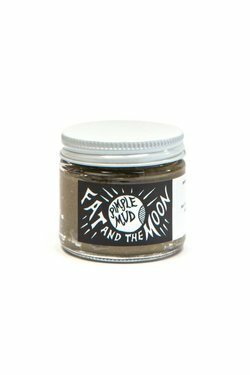 Goldenseal used topically works wonders clearing bacterial issues, making Fat and the Moon's Pimple Mud great to apply to infected cuts and splinters too! Apply to that pimple and let the mud dry. Then rinse off. Use as a spot treatment or full mask.